Should you supervise your children when brushing their teeth? Recent research carried out by the British Dental Health Foundation has found that millions of children face dental issues and problems, due to inadequate tooth brushing supervision. Results from one of their latest polls revealed that more than one in three parents stopped supervising their children brushing their teeth before the age of seven – putting their children’s dental care and oral health at risk. While you may think your primary school-aged child can be trusted to brush their teeth well, guidelines from the NHS advise that parents should supervise their children’s tooth brushing until they’re seven or older. Other guidelines suggest supervision needs to continue until the age of 12, until motor and mental functions allow them to adequately brush their teeth alone. Why supervise your child’s tooth brushing? Like anything in life, it takes a while to develop the right tooth brushing technique. If you don’t supervise your children until the age of seven, they won’t be given the proper opportunity to learn the best technique and develop their oral health skills. And let’s face it, tooth brushing isn’t the most exciting task for toddlers and children – so the risk of them skipping the activity or brushing for a matter of seconds, rather than minutes, is a real issue too. “We are in the midst of a children’s dental health epidemic in the UK. New statistics revealed more than 33,000 children were admitted to hospital for tooth extractions under general anaesthetic in the last year. As a parent, you have the responsibility to ensure that your child has the best start in life. This includes looking after their health and dental care. Brushing your child’s teeth for them until your child can brush their own teeth. Establishing a good oral routine like this from early childhood is important to ensuring they have the best start. 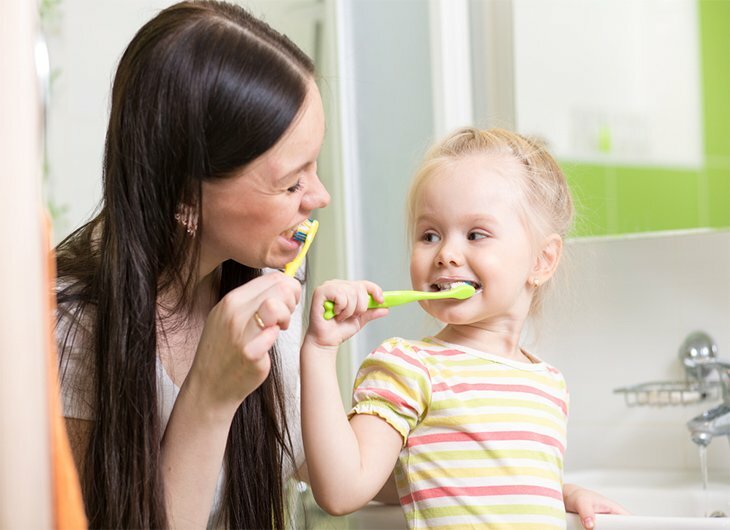 Once your child can brush their teeth, get them to brush alongside you so they can replicate your actions and brush for the required two minutes. Minimise the consumption of sugary and acidic foods, making sure sweet treats, juices, and any other sugary drinks are served at meal times as opposed to snack times. Scheduling bi-annual appointments for your children to see their dentist. 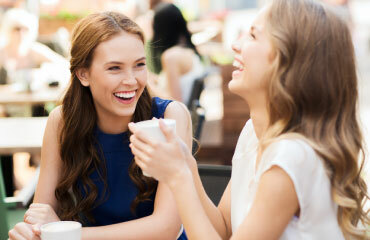 If poor dental care in your youth has affected your teeth, there are treatments out there that can help. Browse our cosmetic dental treatments, which include teeth whitening and same day smiles, to see how we can help to improve your teeth.